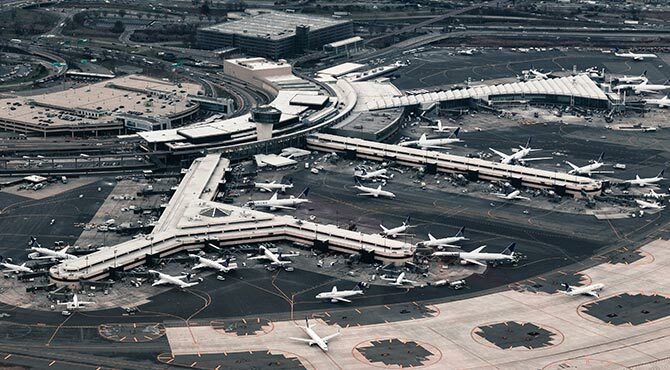 New York City is composed of various islands (with the exception of the Bronx) and much of it is surrounded by water and getting out into the harbor or sailing the Hudson and East rivers is the perfect summer time activity. You will experience the New York Skyline from all different angles and get a delightful breeze in your hair, while sipping on refreshing beverages and taking in helpful info from seasoned tour guides. You can use some cruises as transportation as well, an option which has been increasing in popularity in recent years among New Yorkers and tourists alike. Here are some of our picks for great cruises from posh brunch sails to good old fashioned ferries. 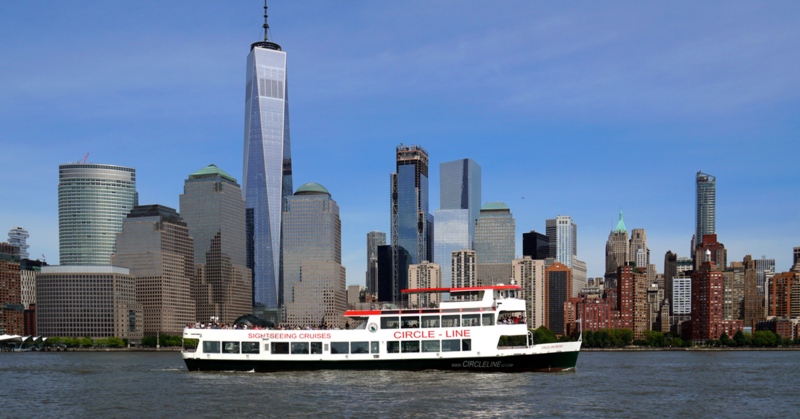 Circle Line Cruises is one of the oldest, most recognizable brands in the New York City waters. The operate a variety of sightseeing cruisers that take visitors all around the New York harbor and even around the entire island of Manhattan. Entertaining tour guides and a concessions booth with snacks and beverages makes for an unforgettable experience. Popular options include the Landmarks Cruise, Harbor Lights Cruise or the Beast Speedboat. 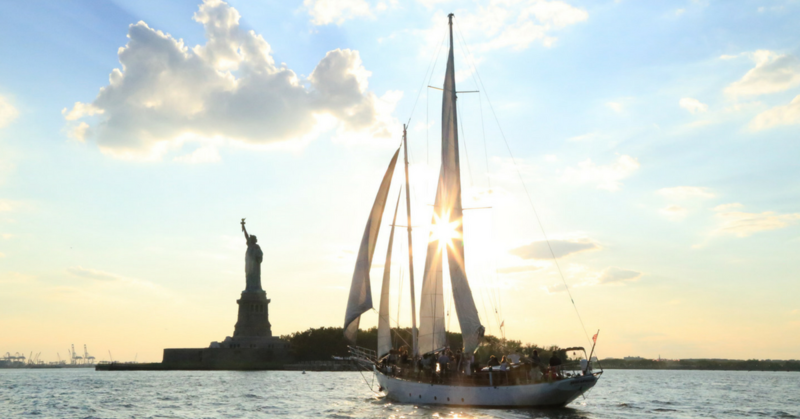 Sailing the New York Harbor on one of Manhattan by Sail‘s vessels is one of the most elegant experiences visitors can have in our slightly polluted waters. Take the 1800s shipping boat replica – Clipper City Tall Ship – with a full bar and a fun crew or the elegant Shearwater Classic Schooner, which will transport you into a Gatsby Era experience. Clipper City is larger a more comfortable, whereas Shearwater is an intimate sailing experience, both will take your breath away with the stunning views of Lower Manhattan, Statue of Liberty and Brooklyn Bridge. 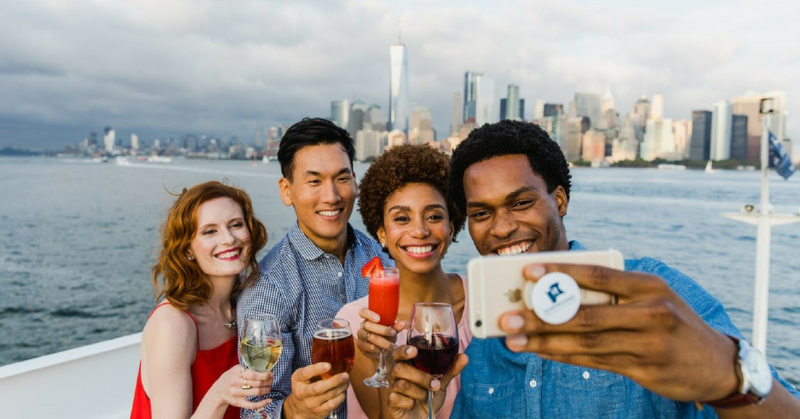 Manhattan by Sail offers specialty cruises such as jazz, brunch, beer cruises and more. >> Four of them available with The Sightseeing Pass. 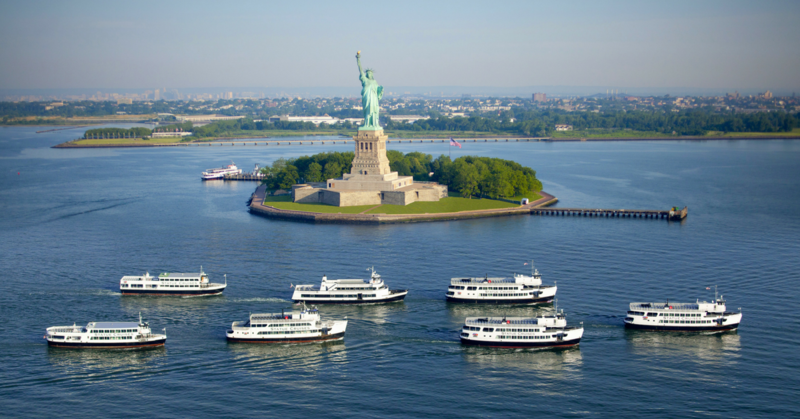 Statue Cruises operates the only boat that will actually take you to the Statue of Liberty. The ferry makes two stops, at Liberty Island and at Ellis Island. It is operated by the Parks Department and it’s the only vessel allowed to dock at these two historical landmarks. The experience is less elegant than other cruises due to the crowds, however, it exists on bucket lists around the globe for a good reason. Setting foot on the historic grounds of the islands brings a tear to the eyes of anyone who even remotely romanticizes the pursuit of liberty they symbolize. Now the operator of the city-wide ferry system, Hornblower also offers a variety of sightseeing cruises geared towards all kinds of activities. Check out Alive After Five!, Hornblower’s happy hour cruise and set sail with rowdy office-workers over beers and cocktails, or enjoy brunch, jazz, lobster and other novelty cruises of your preference. For a low-frills experience, you can get a $2.75 ticket on the East River Ferry and experience the breeze and the views while commuting between Brooklyn and Manhattan. New York’s fastest water-borne experience! The RIB is inflatable speedboat was designed for the US Coast Guard and goes as fast as 80 miles per hour. 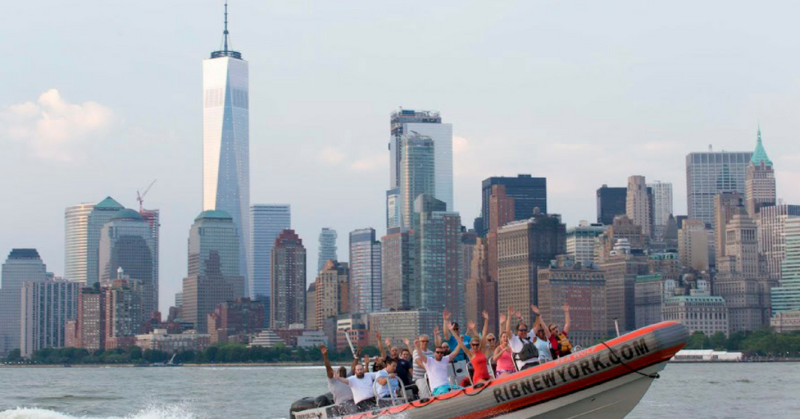 This small, yet ferocious boat will take you to the Statue of Liberty and Brooklyn Bridge for awesome photo ops and will fill you with adrenaline for the rest of your stay. This ride is pretty extreme and therefore not suitable for kids, pregnant women or people with health issues. 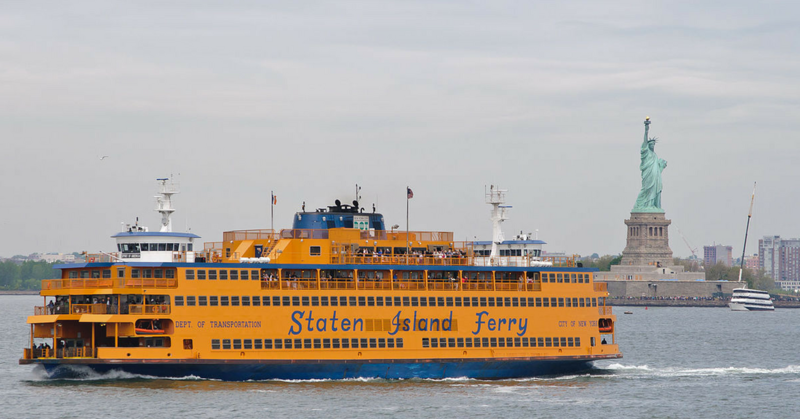 Honorable mention belongs to Staten Island Ferry, the notorious orange vessel that connects Manhattan and Staten Island. The ferry is free and as such has its own challenges, however, it offers awesome views of the city and Statue of Liberty. The slightly gritty appearance of the ship is a part of the fun. If you’re headed to Staten Island for whatever reason, this is a great way to get there. >>> To browse all the NYC cruises available for free with The Sightseeing Pass, visit our website.